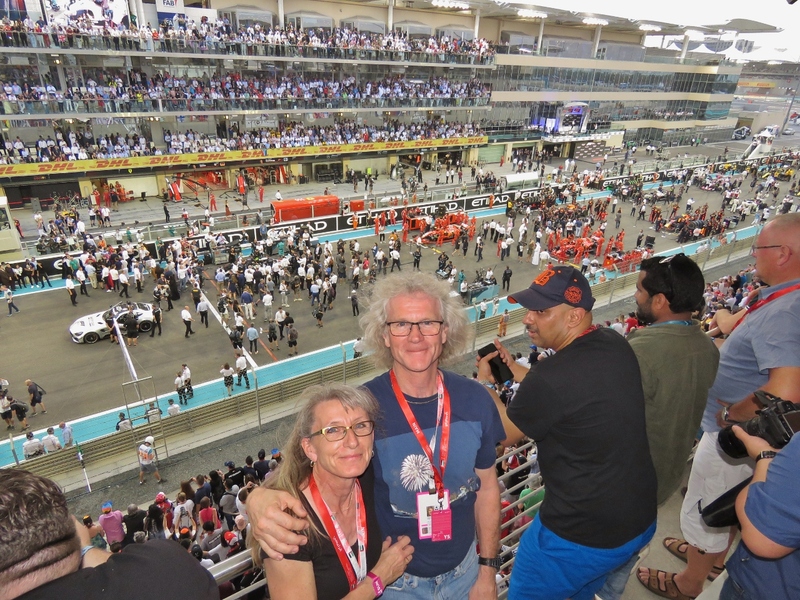 When we purchased our Abu Dhabi Grand Prix tickets months before the event, we debated between being at the end of one of the corners where the passing would be better, or at the start-finish line with a view to the pits and paddock. 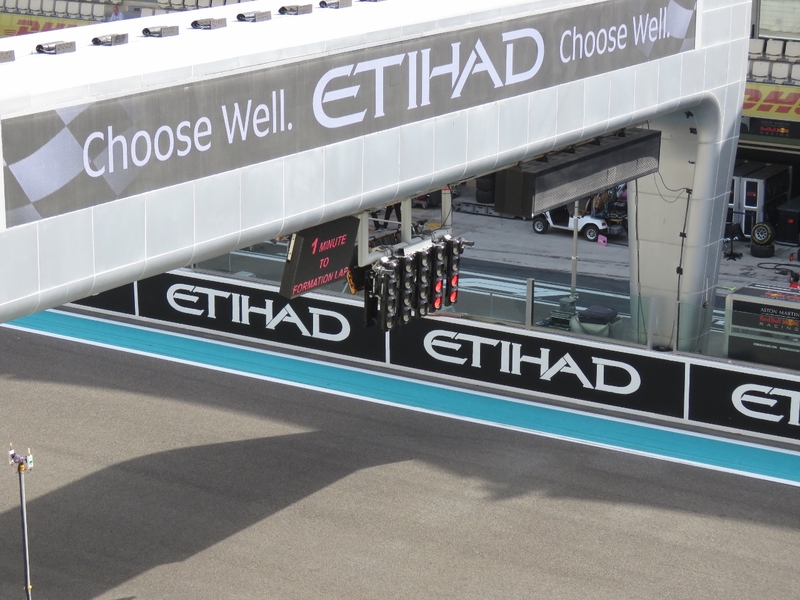 We chose the latter and were very happy with our choice—it was super-interesting to watch all the pre-race activity, pit stops, and of course see the standing starts. 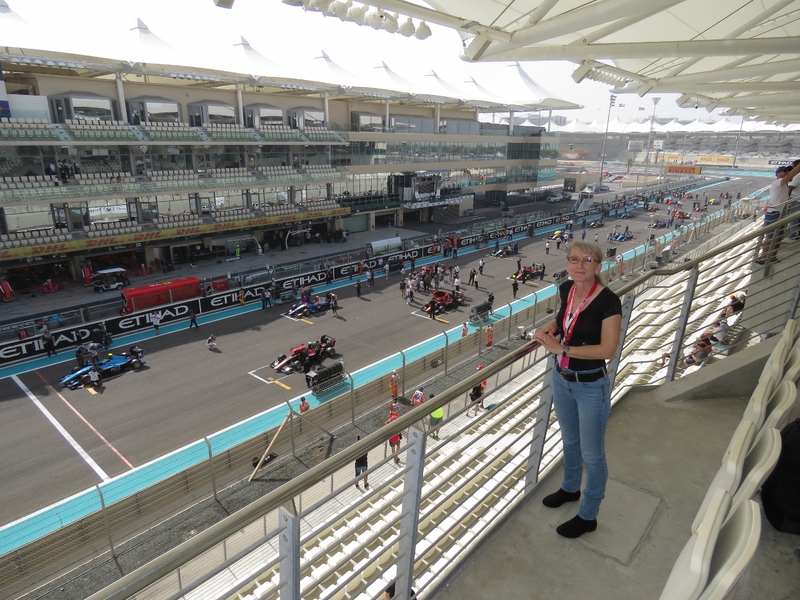 On Sunday we watched the second GP3 and Formula 2 races and, of course, the Formula 1 race. 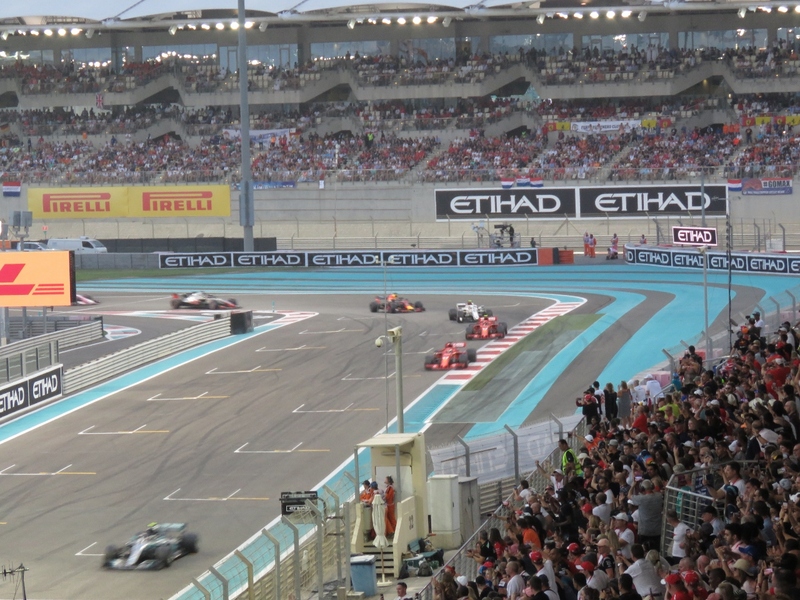 We had a fabulous time, particularly as dusk fell and the cars fired up for the final race of the season. After the race, one of our favorite bands, Guns N’ Roses, were playing nearby. 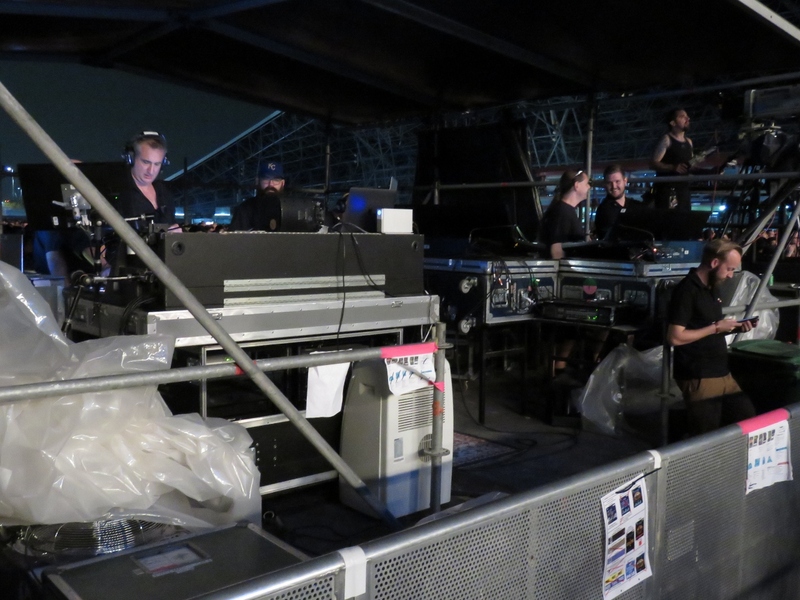 We got a great viewing location with the sound board directly behind us, dead-center in front of the stage. The band put on an excellent show and the concert was a great way to bring the weekend to a close. 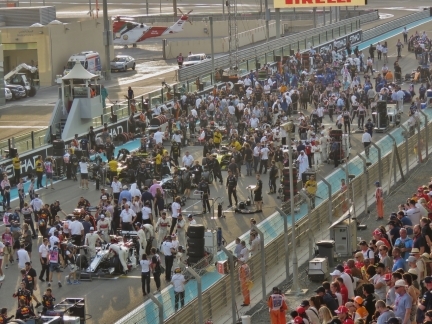 It’s the beginning of the Sunday racing day, less than ten minutes before the start of the second GP3 race. 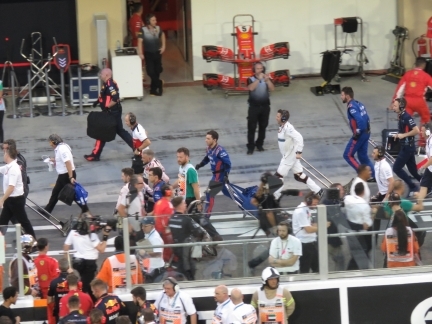 The grid for the race is decided by the results of the first race, with the top eight being reversed so that the winner of the race, Leonardo Pulcini, starts in eighth and pole goes to the eight place finisher. This made for a very exciting race with lots of passing as the stronger cars from yesterday worked toward the front. 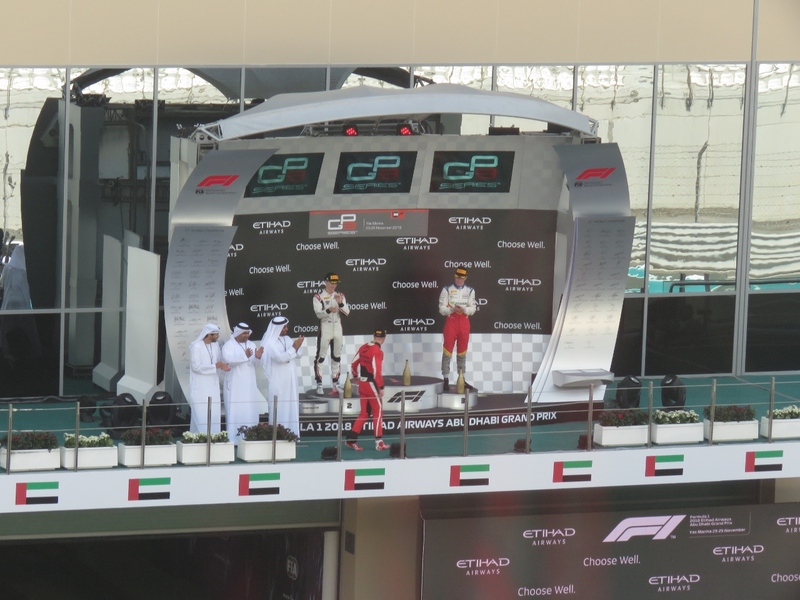 Second place Jake Hughes (left) and third place Simo Laaksonen applaud as GP3 race 2 winner Nikita Mazepin takes the podium for the last ever GP3 race. The series will merge with the Formula 3 European Championship in 2019 to form the Formula 3 Championship series. One minute until the formation lap for the Formula 2 race. As with GP3, the starting order for the second Formula 2 race is based on the first race results with the top eight positions reversed, making for a more exciting race. 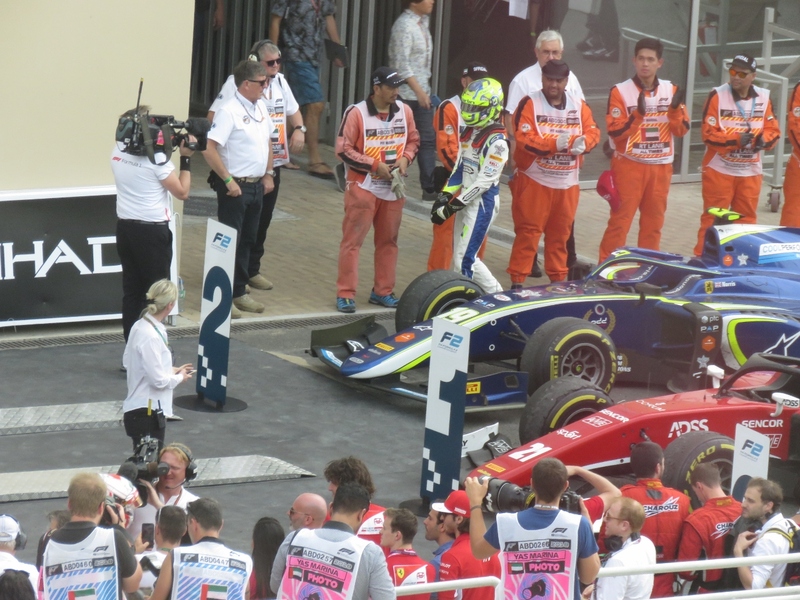 Applause for Lando Norris who places second in the second Formula 2 race behind Antonio Fuoco, whose car number 21 we saw in the paddock on Friday. Nico Hulkenberg, center in yellow cap, poses with his Renault F1 team for a photograph outside their paddock. 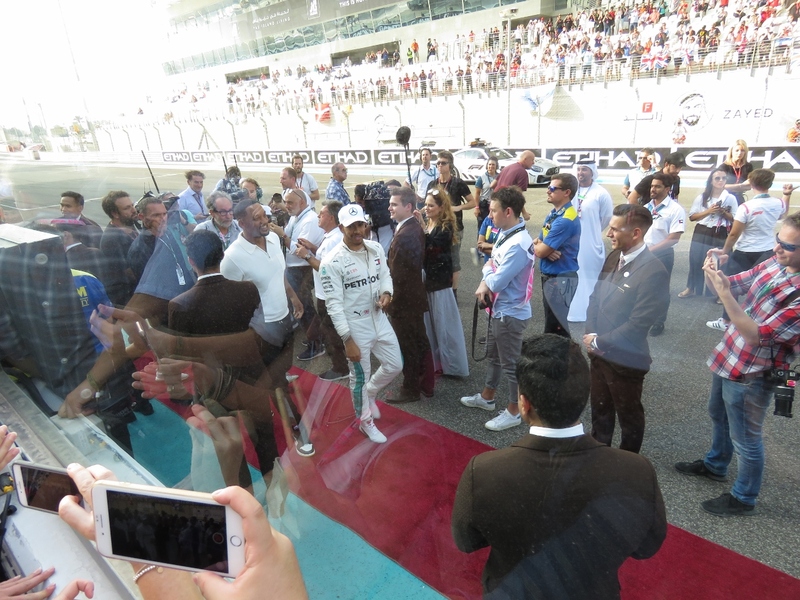 Actor Will Smith (left) walking with driver Lewis Hamilton on the red carpet laid out for the starting grid presentations. 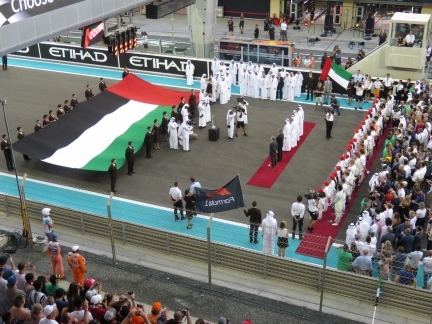 It’s a half-hour before the start of the Abu Dhabi Grand Prix. 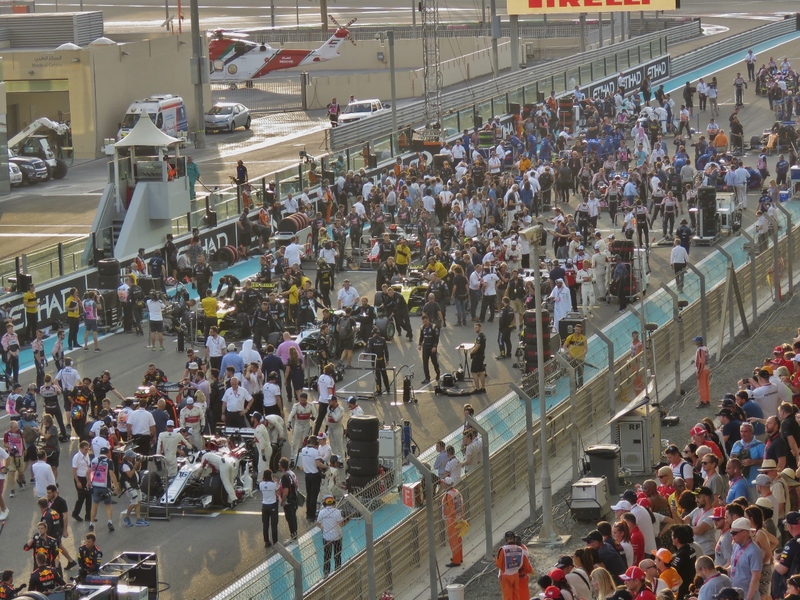 As the sun gets low in the sky, the cars are being wheeled into place on the starting grid, surrounded by crew, media and officials. Three-time Formula 1 champion Jackie Stewart, wearing his traditional attire of tartan pants and matching flat cap. 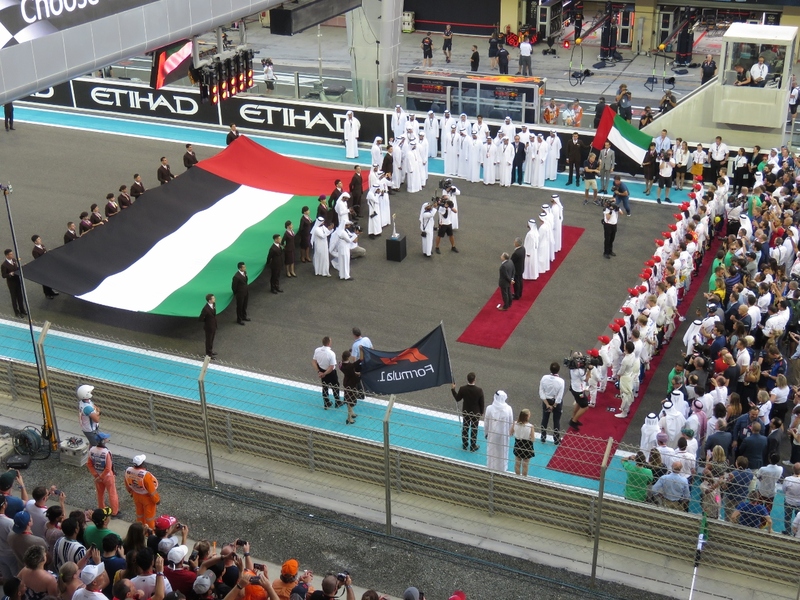 Drivers lined up for the playing of the UAE national anthem. 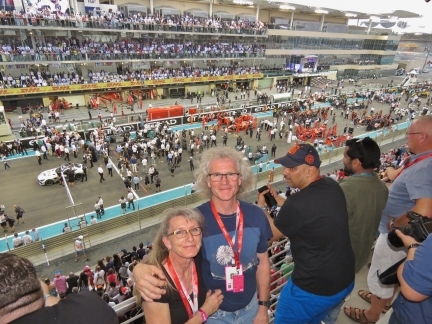 At our seats ten minutes before the start of the 2018 Abu Dhabi Grand Prix. When we purchased our tickets months ago we debated between being at the end of one of the corners where the passing would be better, or here at the start-finish line with a view to the paddocks. We’re very happy with our choice—it was super-interesting to watch all the pre-race activity, pit stops, and of course see the standing starts. For those interested in seeing the pre-race circus in the last minute before the cars are released on the formation lap: https://youtu.be/Woa2Z8wNiZw. 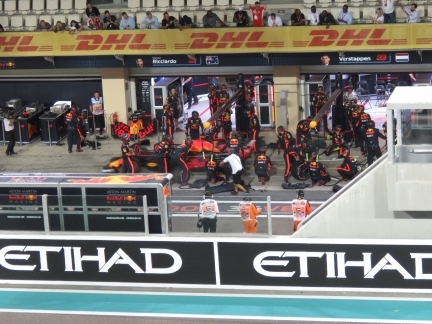 After hours of waiting, this last minute before the 2018 Abu Dhabi Grand Prix is an extremely busy time for the crews as remove the tire warmers from the tires, unplug the batteries and back away from the cars. Each driver is going to leave the line as though it were the start, to heat the track and put down some rubber in preparation for the start of the race in one lap. 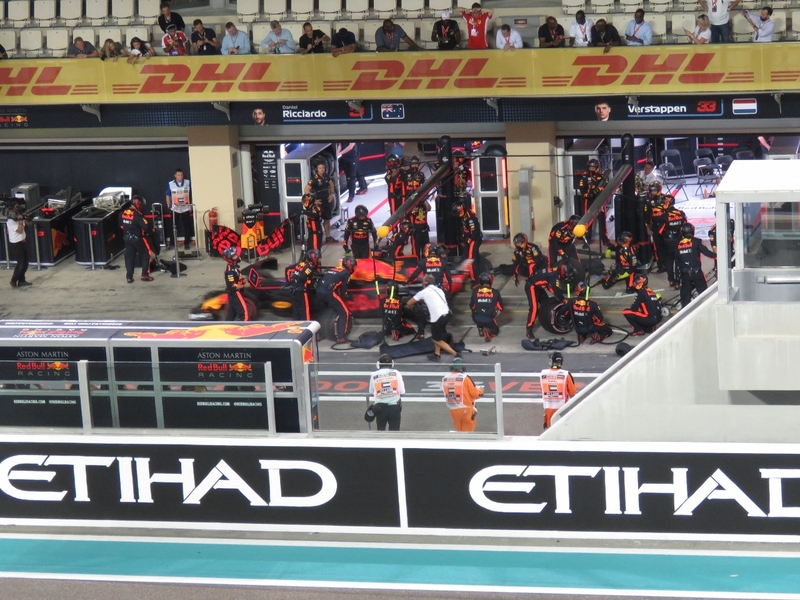 As the cars clear at speed, a sea of crew member run back to their pit positions to be ready in case of problems on the first lap. Nico Hulkenberg and Romain Grosjean collided in the first lap and Hulkenberg car was launched into the air, spinning and hitting the cement barriers upside-down and hard enough to move the barriers several inches. This one looked bad. 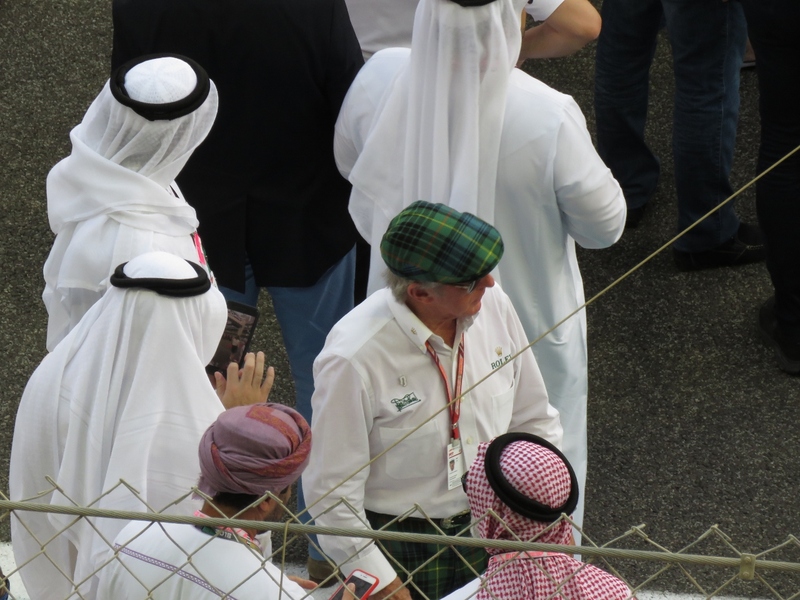 It was even worse for the crews as they could hear the trapped Hulkenberg on the radio saying “Get me out! There’s a fire! There’s a fire!” The fire is reported to have burned for three minutes before marshals put out the flames and were able to roll the car back over to allow Hulkenberg to escape. The new Formula 1 halo driver crash protection device quite likely saved his life. Nico emerged unscathed—it’s impressive how safe these cars have become. The second place Mercedes of Valtteri Bottas ahead of the two Ferraris of Sebastian Vettel and Kimi Raikkonen shortly after the restart following Nico Hulkenberg’s crash. 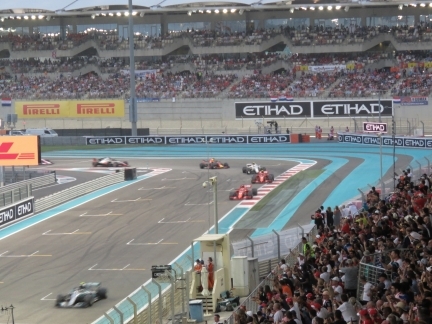 Lewis Hamilton is leading just ahead of this group. Max Verstappen leaving the pits after a two-second pit stop for the Red Bull Team. 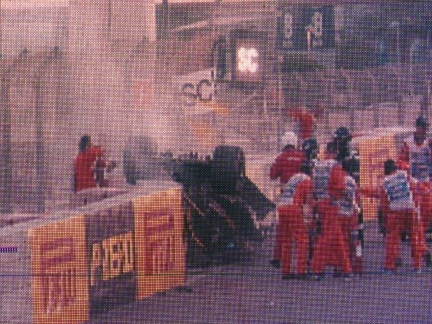 Verstappen went on to place third. 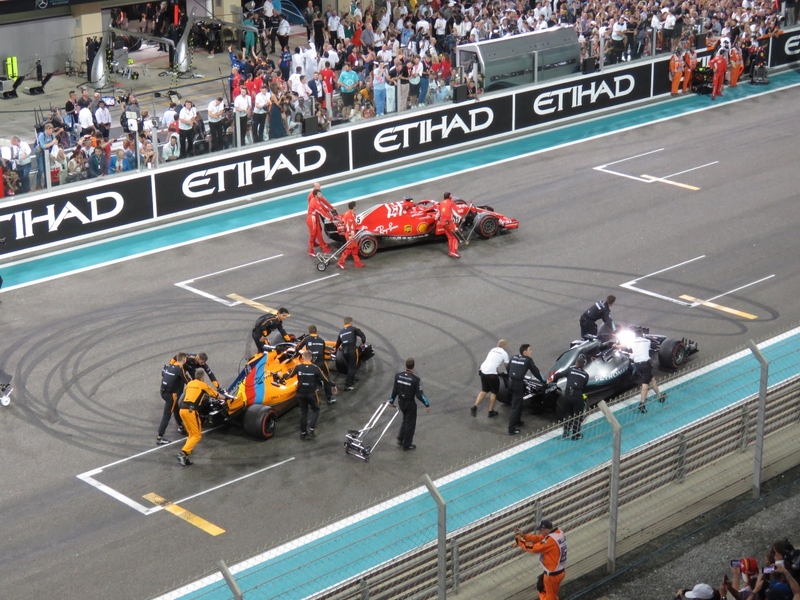 A video of three Formula 1 drivers, each of whom has won multiple world championships, doing synchronized donuts after the race: https://youtu.be/n472HbQAEAw. Lewis Hamilton and Sebastien Vettel were celebrating their first and second place race finishes, while Fernando Alonso would be retiring this year. You can see the rubber left behind in this picture as the crews roll the cars off the track. Once the cars were off the track, a gate north of our grandstand was opened and fans poured onto the track to watch the podium presentations. 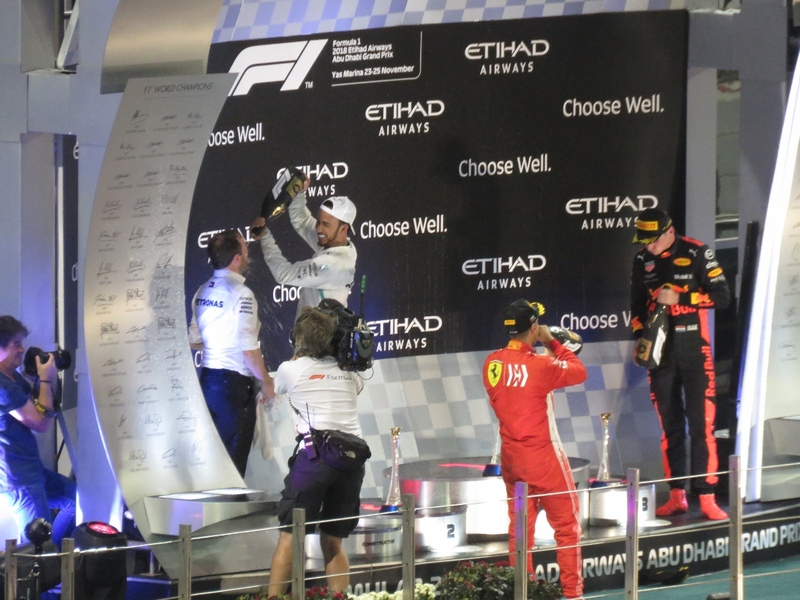 First place finisher Lewis Hamilton (5-time World Champion), left in white cap, second place finisher Sebastian Vettel (4-time World Champion), center wearing Ferrari red, and third place finisher Max Verstappen (based in this year’s performance, his first World Championship isn’t far away) at right celebrate their results with the traditional drinking and spraying of champagne. One of our favorite bands, Guns N’ Roses, were playing nearby after the race. 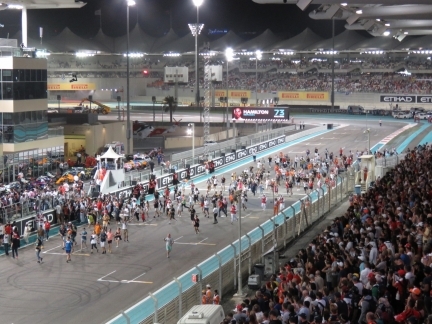 This venue is standing-room only and, with the race nearby, a lot of people are here. 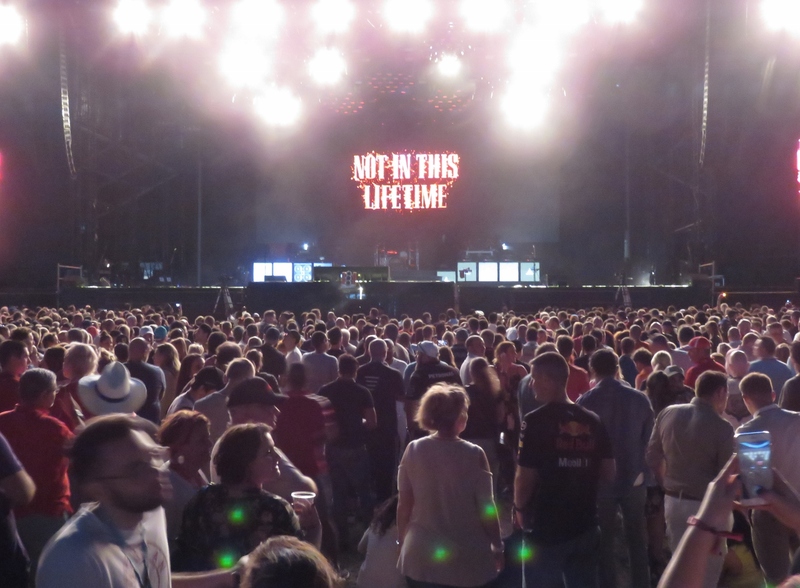 We got a great location with the sound board directly behind us, dead-center in front of the stage. It’s hard to be in a better location than right at the sound and light board, and it has the additional advantage that there’s a fence behind us that we can both lean against and it’s not as crowded. 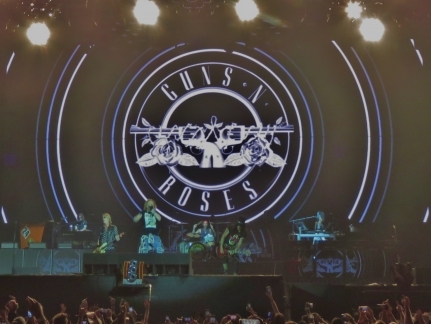 The Guns N’ Roses tour name comes from lead singer Axl Rose’s answer to a reporter a few years back about whether Guns N’ Roses might reunite. 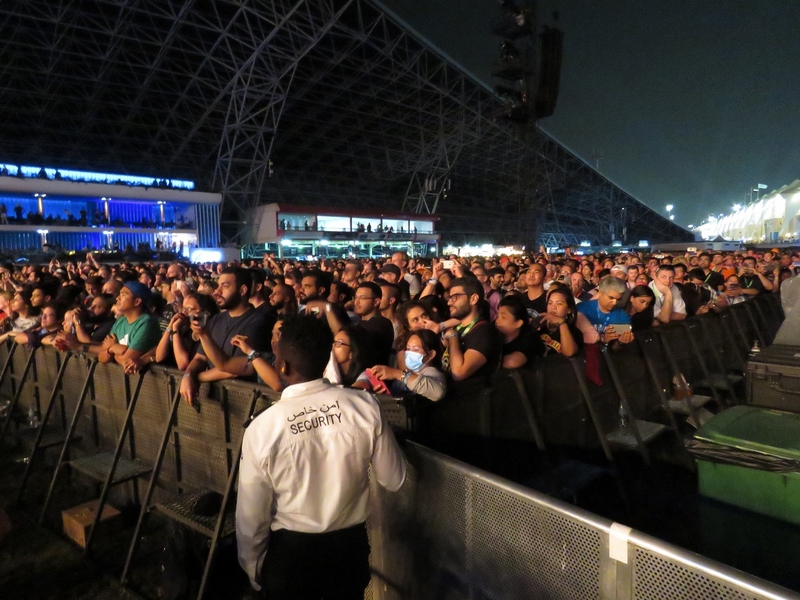 Looking behind us to the regular general admission section, packed with tens of thousands of people crowded against the barrier with the elevated VIP sections along the left. Guns N’ Roses has a reputation for showing up hours late, so we weren’t sure if it would be a Sunday night or a Monday morning concert. But the music started at 9:20pm and then ran until around 11:15pm. The tour included three of the original band members: Axl Rose (singing left of center), Duff McKagan (directly left of Axl) and Slash (right of drummer). 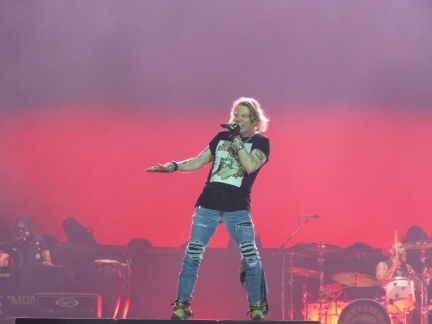 Axl Rose at the front of the stage. 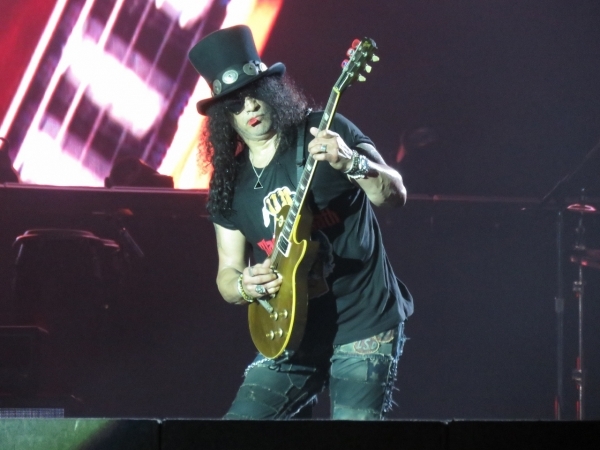 We’d seen Slash perform live with his band Slash’s Snakepit in Toronto years ago. We were a little disappointed that he didn’t have many guitar solos, and the show was good, but unremarkable. Not so for the Abu Dhabi concert. The whole show was fabulous and an excellent way to bring the weekend to a close. I had no idea Formula 1 cars ran on tiny 1.6 liter engines — that is smaller than the typical 2.0 liter engine powering mid-size SUV’s in the US. I grew up with a brother who loved pony cars and had a 1973 Pontiac Firebird with a massive souped-up V8 that I would guess pumped out 550 HP. I loved the grrrmp-grrmp throaty rumble of that engine — I find the high-pitched shriek of a dual-turbocharged 4-banger to be less satisfying and more irritating. I wonder if a Formula E race would be simply listening to a barely audible series of “whoosh-whoosh” sounds as the cars went by? The little V6s used in F1 are actually fairly quiet due to heavy turbo charging recycling the energy normally released as heat and sound. So they don’t produce an “high pitched shriek” — in fact, one of the criticisms many level on current F1 machines is they are far too quiet. I’m not really in agreement on on that point but it’s the majority view and F1 will be changing the rules to produce more engine noise. Formula E will have the mechanical sounds other than the Engine — mostly gear box and tires — but, the engines themselves won’t make much noise at all. Given rapid advances in electric car technology, I wonder if Formula One and other racing formats will be eclipsed by EV’s? I have to say it would be really boring to watch silent EV’s purring around a track — there is just something primordial and satisfying about the roar and shriek of a high-performance internal combustion engine. Your reports were s fun to read. 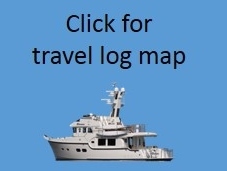 I was really interested and amazed by the buildings and malls you encountered on the trip. Yes, in some ways your prediction is already happening. Formula E is a 100% electric series started in 2014 that is getting quite popular. Formula 1 is using only a 1.6 liter engine with two forms of hybrid assist: 1) MGU-K: an electric motor that provides extra HP on the drive wheels and acts as a generator during braking to recover energy and charge on board batteries), and 2) MGU-H: an electric motor that drives the turbo at lower RPMs (like a super charger) and runs a generator to recover further heat energy and charge the batteries during higher revs. Unfortunately, the MGU-H probably won’t be part of the post-2021 design in an effort to reduce costs. Personally, I would rather seen more innovation allowed around hybrid technology and less around aerodynamics. The teams spend fortunes on wind tunnel work that add or slightly move a tiny carbon fiber winglet that nobody can see and fewer still care about. I would rather see a fixed aerodynamic design that all teams are mandated to use that makes the cars perform well when operating in turbulent air. This would reduce the single largest cost faced by teams while, at the same time, allowing tighter racing. 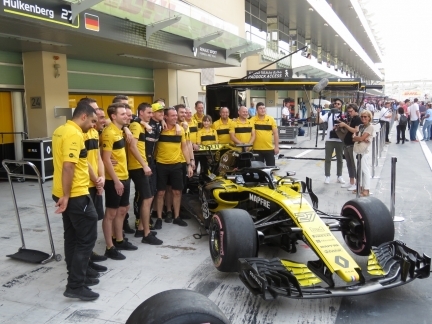 With a fixed chassis, instead have the teams focus their innovation and R&D budgets on hybrid technologies and other engine and transmission innovations. Jennifer and I are hoping to find ourselves close to a Formula E race sometime in the near future. We would love to take in a race.